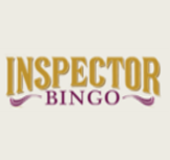 Inspector Bingo is a new online bingo site that opened its doors in March 2017. 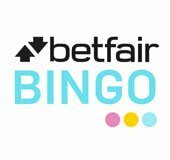 The site is powered by Dragonfish software and joins other big bingo brands running on the network such as Robin Hood Bingo. As one part of a trusted bingo site network you can expect a higher quality gaming experience at Inspector Bingo. The site’s theme is espionage and undercover operations and you’ll find anything related to sleuthing. The main character, the Private Eye is featured all over the site sporting a magnifying glass, pipe, top hat, trench coat, and various other investigator accessories. It’s easy to navigate and you can quickly find all the exciting games on offer. There are many 75 and 90 ball bingo rooms, online slots, and lucrative bonuses to claim. The evidence is in and Inspector Bingo is one of the most intriguing new bingo sites for 2017. One of the best kinds of bonuses you can get is a no deposit bingo bonus because you don’t have to spend a penny to start playing. 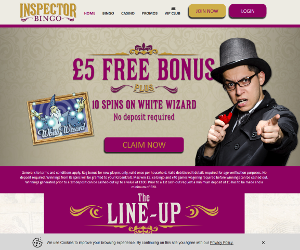 Inspector Bingo treats their newest players with a £5 FREE no deposit Welcome Bonus + 10 Free Spins on White Wizard Slots as soon as they register! There are many exciting promos to join in on at Inspector Bingo, many of which fit the sleuthing theme. These exciting promotions help you increase your winnings while adding more fun and flavour to your bingo and slots sessions. Top Inspectors: Work your way up the Inspector bingo leader board to become one of the top inspectors. This promotion starts at the beginning of each month and players collect points to try to reach the top. The first place Inspector wins £50 cash and 9 runners up win mystery prizes. VIP Club: Loyal players get rewarded for their loyalty in the xCite Loyalty Package. Earn jewels as you play and reach VIP levels Rookie, Pro, Master, or Champ. Each level has their own exclusive perks and benefits like cashback, spin vouchers, bingo tickets, free bingo, birthday bonus, special events, and more. Penny Evening: Play cheap bingo games every night from 8pm! Tickets cost just 1p or 2p with GTD jackpots that reach £20. Tuesday and Friday are the best days to play because the chat hosts swing by and give out points and prizes! Late Night Show: Only the first 75 players to get tickets to this exclusive nightly game can play! Play to win a £100 real money prize at 00:45 every night – with no wagering requirements! Weekender: This promotion runs every Friday to Sunday and has up to £700 in real money prizes on offer. Plus, for every 96 tickets you purchase you get 14 for free! The Big £10k: Join this game on the 10th of every month for a share of a guaranteed £10,000 jackpot. 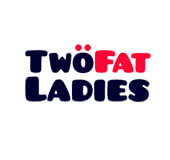 There are prizes for Full House, 2 Line, 1 Line, 1TG, and 2TG winners! These are just a sampling of the amazing promotions you’ll find at Inspector Bingo. Visit today and see what else is in store! There is a wealth of bingo rooms to choose from with games happening all day long. Whether you’re a fan of 52, 75, or 90 ball bingo games there is a rich selection to choose from. Head to the Rollercoaster or Big Fat 10 rooms for fun 75 ball bingo or make your way to the Woodstock or Peace rooms for 90 ball games. There are also fun penny bingo rooms like Penny Evening and Wow as well as FREE bingo rooms like Freebie and On the House! There are many slots and casino games to choose from including all the most popular games from Netent, Microgaming, and Eyecon. Spin to win Fluffy Favourites, Shaman’s Dream, and Starburst and try your luck on the progressive slots like Superman and Millionaire Genie. You can also play many classic table games like Poker, Roulette, Blackjack, and Baccarat. There are several variations of each game such as Deal or No Deal Video Poker, Oasis Poker Pro Series, Deal or No Deal European Roulette, Multi-hand Blackjack, and Sidebet Blackjack to name a few! When making a deposit or withdrawal at Inspector Bingo you can choose from several options. These include transactions via Phone, Credit Card, Debit, NETeller, Paysafecard, PayPal, Entropay, and Wire Transfer. All deposits will be immediately credited to your bingo account, with the exception of deposit via Wire Transfer which takes 5-8 business days. The minimum deposit is £5 and you can view, increase, or decrease your deposit limits in the cashier. When withdrawing funds, keep in mind that it takes 2-7 days for the transaction to be completed. The minimum amount you can withdraw is £5, or the equivalent in other currencies that you have used to make a deposit. Inspector Bingo offers 24/7 expert customer service. If you have any questions or comments you can call 0800 901 2510 (UK only) or send an email to help@bingosupport.org. If you need immediate help log in to your account and go to the Help Room to contact one of our support staff on standby, 24 hours a day, 7 days a week. 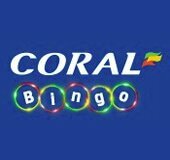 You can play all your favourite bingo and slot games on your mobile phone and tablet. Simply visit Inspectorbingo.com from your mobile web browser and begin your fun, undercover adventure. All games are optimized for mobile and the mobile site is easy to use. You can also claim bonuses and join in on promotions from your mobile device so you don’t have to miss a thing! You can join the chat games and play bingo side games from your phone and tablet for the biggest mobile bingo wins!